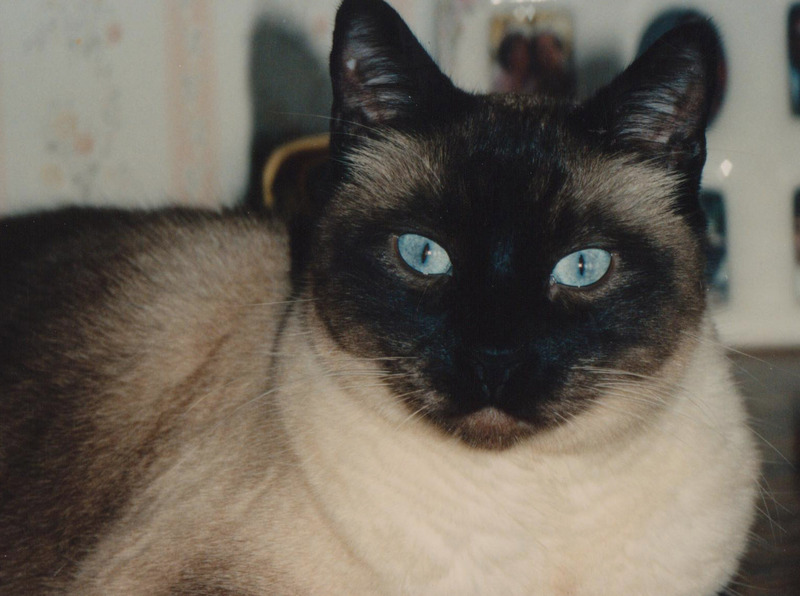 Did you know that 30% of cats over 8 years old – and 90% of cats over 12 – have arthritis? The sad thing is that there are almost no arthritis medications that can be safely or effectively used on cats. Fortunately, there is a safe alternative: glucosamine. Glucosamine is classified as a nutraceutical. 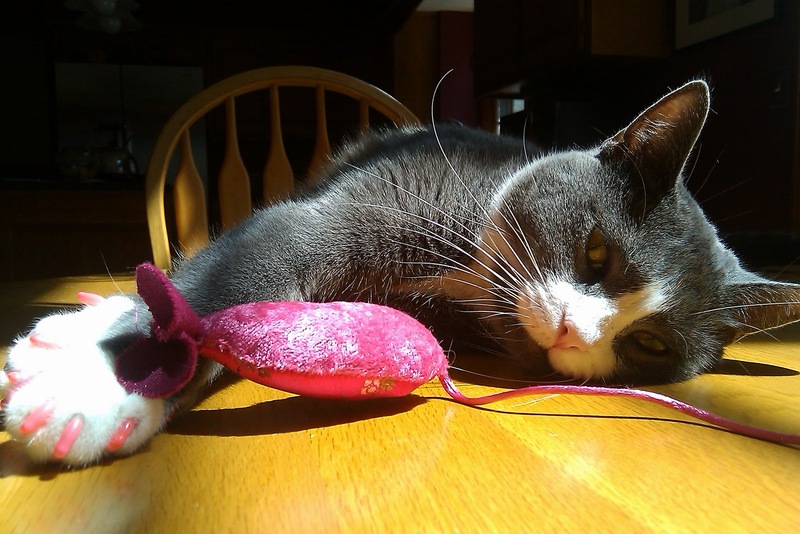 There have been many studies done that indicate glucosamine promotes joint health, though the benefits can take as long as 8 weeks to show up, and effectiveness can vary from cat to cat. What we can tell you is our own personal experience with it. Caleb, Unca Ryker’s older brother and the cat who came before, lived to be almost 20 years old. And in his golden years, arthritis set in. He was no longer able to jump up to sleep at the foot of the bed. Until we started him on glucosamine. 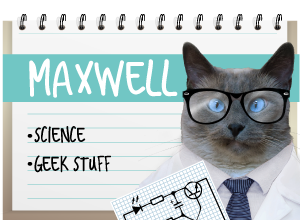 Our dad, a scientist and certified skeptic of all things, noticed it first (that’s because he claims mom’s notoriously unobservant, but we digress). Just one week into glucosamine supplements and Caleb had shed ten years. He was tussling with Ryker and hopping up on the bed like a young thing. If glucosamine was going to work at all, it should have taken longer than a week for us to see a change. But in Caleb's case, it worked wonders. Your mileage may vary – but we were convinced. So when a company in the UK – VetVits – approached us about hosting a glucosamine giveaway, we were interested. And then when we read up about the company, we were impressed. Founded by veterinarians 11 years ago, VetVits' sole focus is pretty much nothing but top quality supplements for dogs, cats and horses. And these supplements can be taken together without any worries about harmful interactions. 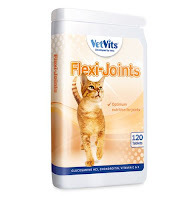 Flexi-Joints is a glucosamine and chondroitin supplement formulated specifically for cats. That’s important because many formulations for humans can be either too strong a dose or can contain other ingredients that aren’t necessarily good for cats. 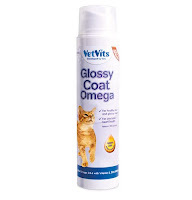 A bonus item in this giveaway is Glossy Coat Omega, a formulation that contains the essential fatty acids that promote both joint and heart health. Cats require a steady amount of the omega oils in their diet and this is a tasty way to ensure they have what they need. Entering the contest is easy. The giveaway is open this time only to readers in the UK. Simply follow the instructions in the Rafflecopter widget, which offers you several ways you can enter the drawing. The winner will be announced here two weeks from today. Disclosure: This was a sponsored post. All sponsorship compensation received was donated to Wayside Waifs, Missouri’s largest no-kill animal shelter. For more information on our blog's policies, please click on the Disclosures & Policies tab at the top of our blog. 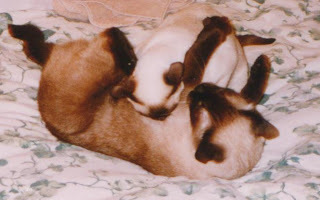 I have only had one cat with arthritis but I have several older cats that I would love to try it on. I do use it for my dog. I used it for the dog that just went to the bridge and it helped her a lot. 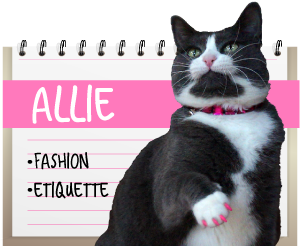 Allie: *giggle* THANKS! Mother made it for me! Excellent post! Thanks fur sharing this info. Being an older girl, Whisky (she'll be 13 next February) started to show signs of arthritis about 2 years ago and would struggle to get up. It was heartbreaking to see. I tried supplements but she absolutely hated the liver tasting pills. Then my regular vet assistant suggested I gave Hyaflex a try. It's liquid and has no taste and the best part was, we noticed significant difference after a month. She's been on it ever since and now bounces up easily and prances around like she used to do. I have been taking glucosamine (Cosequin sprinkle capsules) for over a year, and I noticed a big improvement! Allie you've got really long luxurious whiskers you must do some diligent grooming. 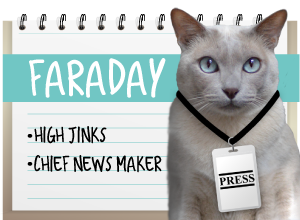 Come over to my blog today I gave the whole family an award, mew. Mowzers Willow! That's pawesome! Thank you! Wow, really? Just a week? That really is impressive! We are trying calming treats for Mica Moo, but aren't sure if they are working. We are still young 'uns and don't need anything for joints yet, thank Cod! Sammy takes Cosequin, and it helps him quite a bit. We also just started him on Adequan for his arthritis, and that has really made a difference! Sounds like very good stuff! Wow, sounds like some good stuff. Star has started to show signs of arthritis, my poor girl. I wonder if we can get that stuff over here in the States. Yes you can - well, not the Flexi-Joints brand, I don't think. They're pretty much UK only. But a similar formulation here inthe states is what we used for Caleb and Ryker. It's called Cosequin, and it comes in capsules that you can pop open and sprinkle over wet or dry food. Neither cat took issue with the taste either, which was a relief! If it's anything like the stuff we have in the U.S. then it's a capsule that can be opened and sprinkled on wet or dry food. I hear ya on the pilling - no WAY no HOW were we going to get a pill down Ryker or Caleb!! The sprinkles were tasteless apparently, because there was no hesitation on either cat's part in taking the food it was sprinkled on. We are not suffering with arthritis at the moment but if we have another cold, cold winter Mum worries that we could start with the tell tale aches and pains of arthritis. We would like to be entered. Mum has noticed that I don't jump straight up on to things like I used to and thinks I may be starting to stiffen up a bit. We are 12 1/2 but I still get the crazies and run around like a mad cat at 3 in the morning.